June | 2014 | Linden Optometry A P.C. Dr. Daniel Krall, O.D. was interviewed for a vision care article entitled “Fitting Set for Scleral Lenses Improves Efficiency”, which was included as an add-on to the Review of Optometry Magazine this month. 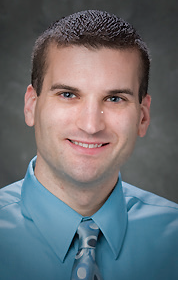 Dr. Krall, who is Clinical Director at Linden Optometry (P.C.) in Pasadena, described how a specialty contact lens called the Paragon ICD (“Irregular Corneal Design”) works well for a wide variety of patients: those with keratoconus, PMD and even high levels of astigmatism. “That last group doesn’t technically have an abnormal cornea, but many of these patients find they can’t get good comfort in a smaller lens. Since this lens covers the whole cornea, it’s often more comfortable for them,” explained Dr Krall. Keratoconus is a condition in which the cornea bulges outward like a cone. Some of the potential patients who are candidates for this lens include those who complain of severe symptoms of dryness (the size of the lens might help maintain contact with artificial tears), as well as patients whose soft toric contact lenses move too much. Dr Krall spelled out the advantages of having a fitting set of ICD contact lenses in-house: “Just having a fitting set in the practice makes the whole process a lot faster and easier,” he said. In most cases, this results in less waiting time for patients.